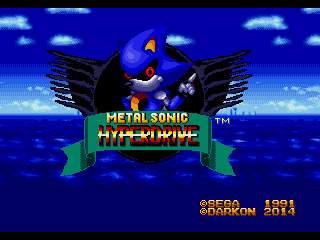 Metal Sonic Hyperdrive is a heavy modification of Sonic the Hedgehog (1991) by Darkon360 for the Sega Genesis. 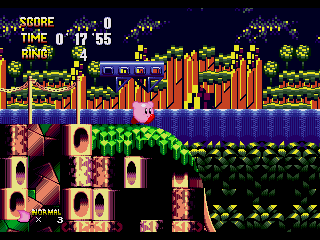 with brand new Zones, Sonic CD style gameplay, Music, Playable Characters, and Modes. Starting Metal Sonic, taking Sonic’s role as the main protagonist to stop Dr.Robotnik’s greatest inventions yet. Also starting special guests such as Kirby, and Somari. One day, after the defeat of Dr.Robotnik by the hands of Sonic. 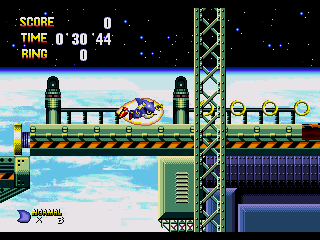 Robotnik decided to rebuild Eggrobo to travel Mobius to search for the Chaos Emeralds. 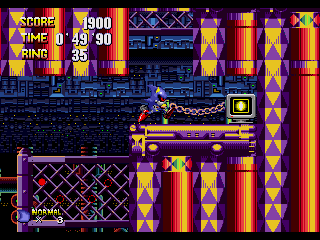 Eggrobo kidnapped Tails in the Mystic Ruins, by sending him into Metallic Madness, but luckily, Tails escaped. he decided to sneak into Robotnik’s lab and grab the parts of his robots and pieces. Tails later go to his home in the Mystic Ruins and created a new robot, based off Metal Sonic’s classic model, Codename: METAL. with the ability to feel and behave almost exactly like Sonic. Tails was able to track Eggrobo to where hes heading by using his Radar, so Tails sent Metal Sonic to Robotic Isle, where Eggrobo is heading to. in hopes to find the Chaos Emeralds and destroy Dr.Eggman’s plans once and for all. 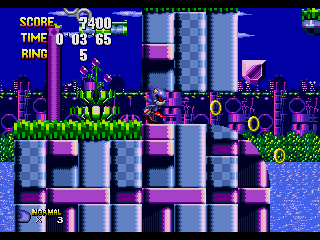 Hint: Sonic CD North America Release date. Press C button on the Title Screen to access the special extra features, including character selection and Survival Mode. Genesis/Megadrive covers and cartstickers ready for print here.